Due for delivery at the end of 2009 GEL 003 is now well underway. 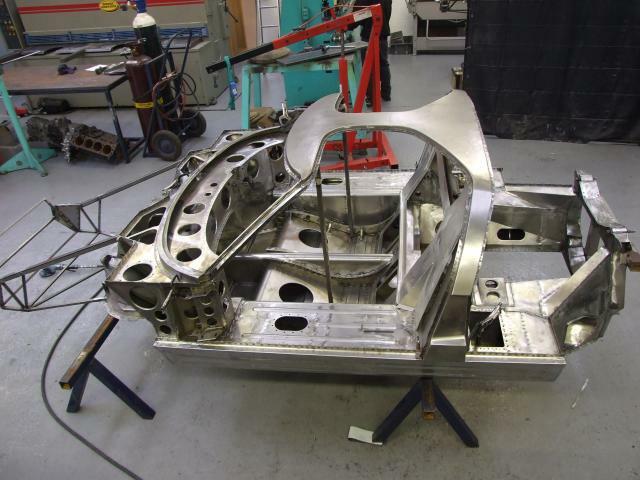 The Chassis is around two weeks from completion, the Corners are ready to fit and both the Engine and Gearbox await installation. 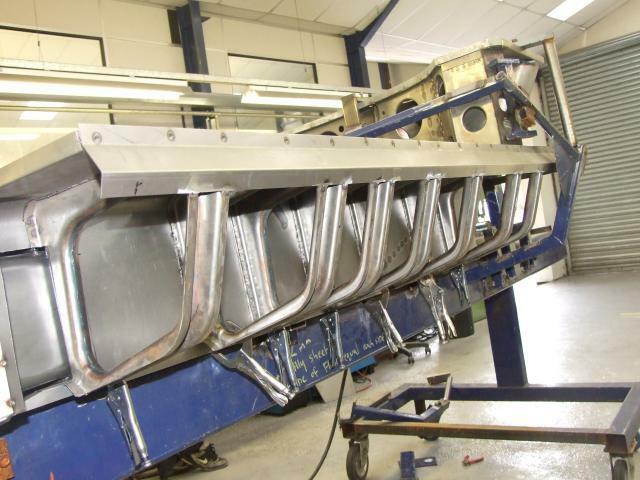 Over the next series of photographs the Chassis can be seen taking shape as work moves forward. 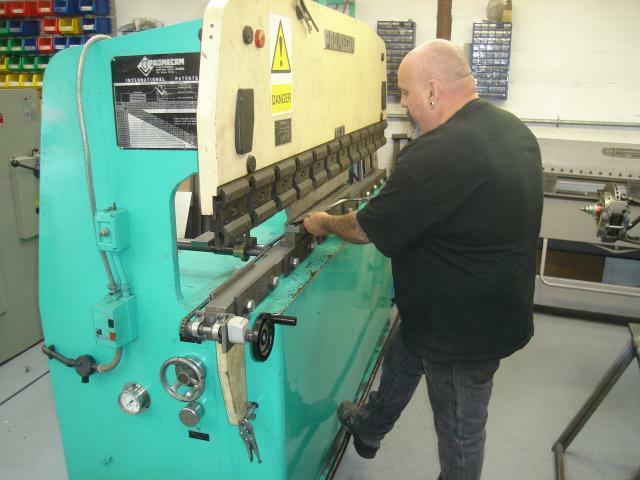 All Panels are made in-house with our own Knocking Blocks or Press Tools. Here an Engine Bay Member is being knocked over. As the main structure starts to take shape further smaller Panels are fabricated from the original Drawings. 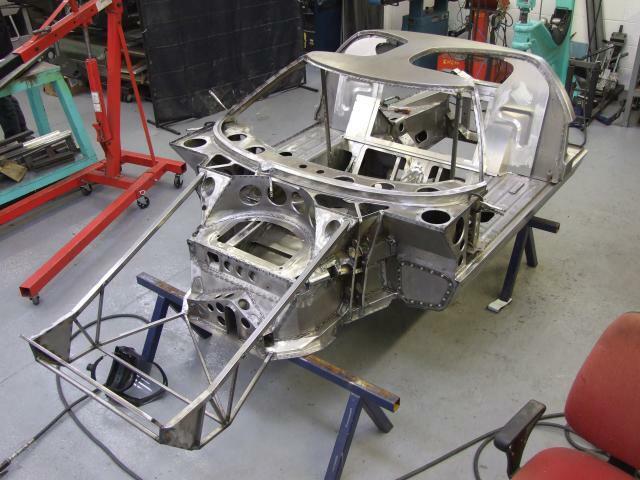 The main Chassis is now beginning to take shape as Panel after Panel is welded in. 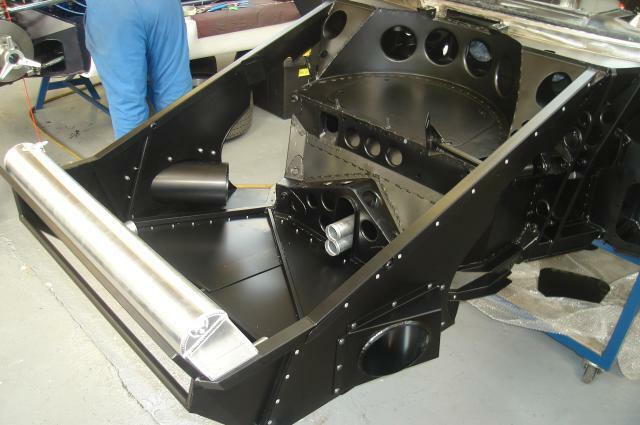 As the Chassis construction moves along, the assembly starts to take place of the Corners and other various items, which can be fitted when the completed Chassis is painted. 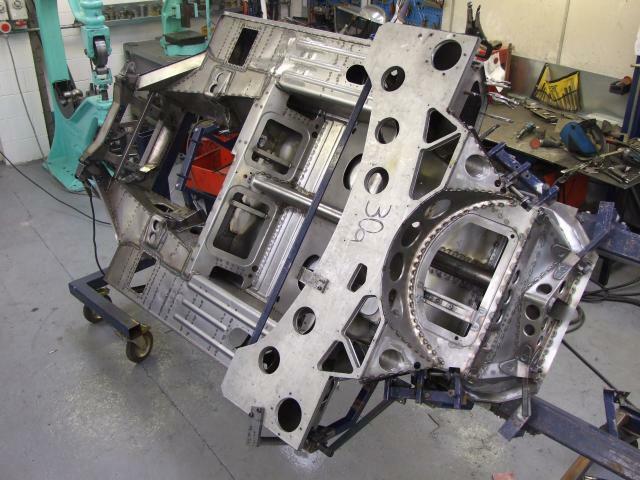 Gearbox ready to install to the Chassis. 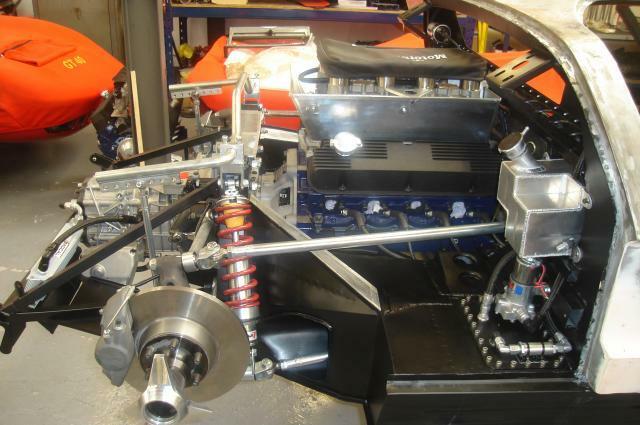 All the major components are fitted into the Jig when the Chassis is being fabricated to avoid any issues during final build. 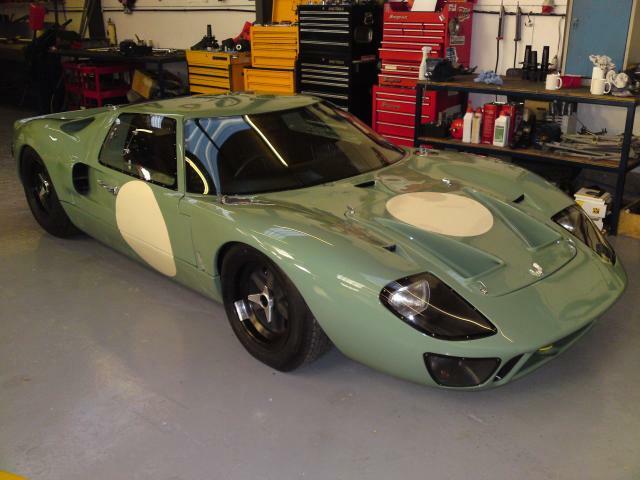 Please keep logging on as the latest Gelscoe GT40 starts to take shape, we will be adding more pictures in the next few weeks. 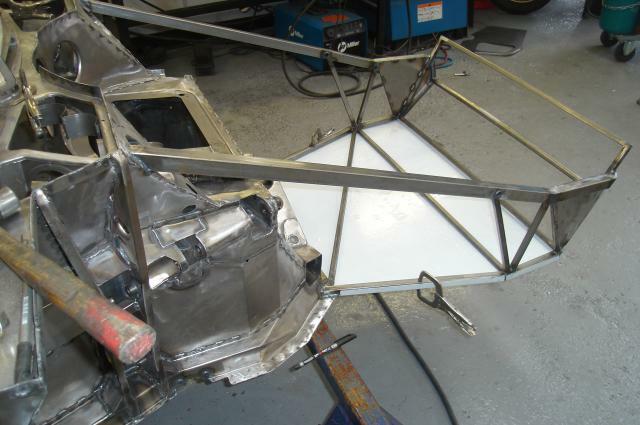 Over the last few weeks the Chassis has beome more structured and is now one unit, the parts made in the Sub Jigs are all welded into place. 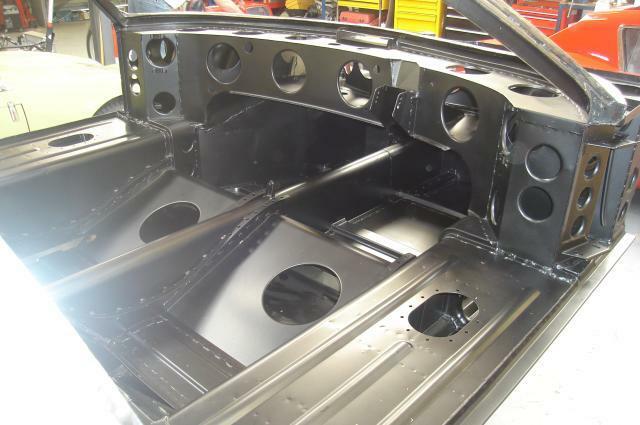 At this point the Ribs that run along side the Driver and Passenger can be installed. 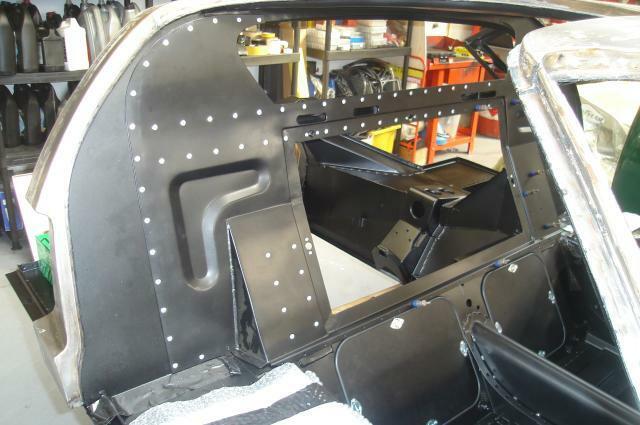 When all the Ribs are fitted the outer Sill can be welded into place. At this point we also measure up for the FIA Fuel Tanks as each Bladder is hand made to suit each side of the Car. 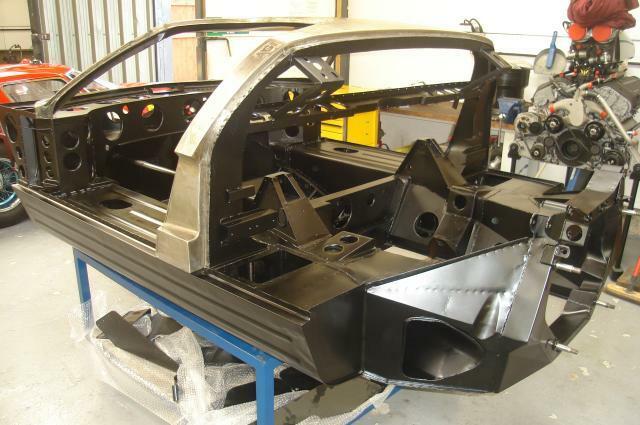 The Chassis is now all but complete, with the Roof fitted into place the final detail work can be carried out. 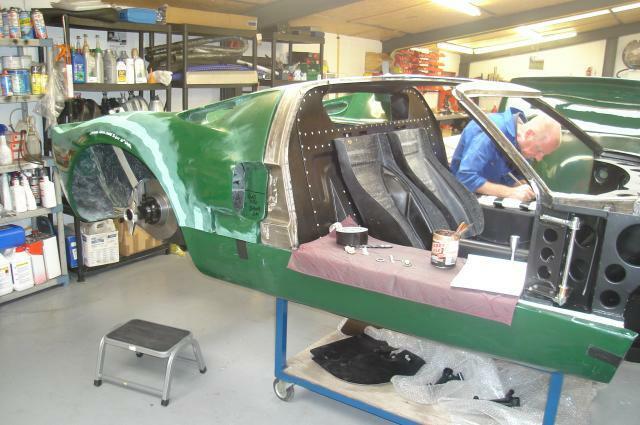 Once the parts installation has been checked it will be ready to Powder Coat. 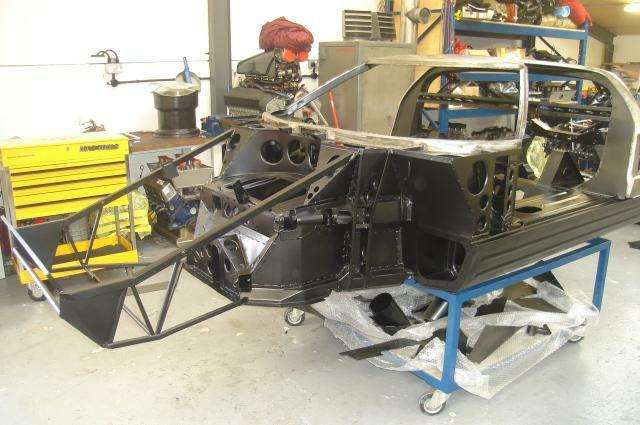 Free from the Jig the small items like the Seat Rails, Brake Line Tags and Panel fitting can be finished. 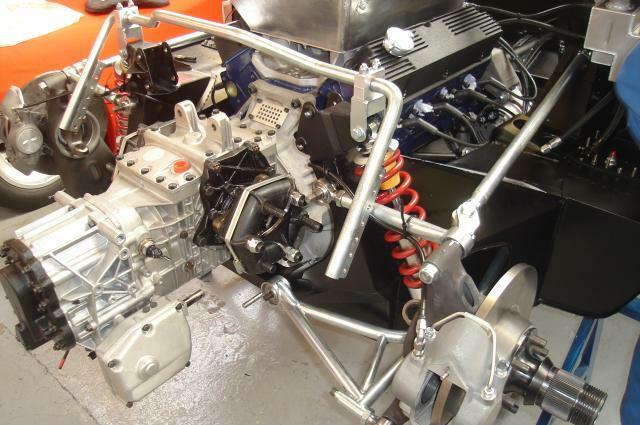 Dummy Engine and Gearbox are fitted to check for clearance around the Oil Filter. 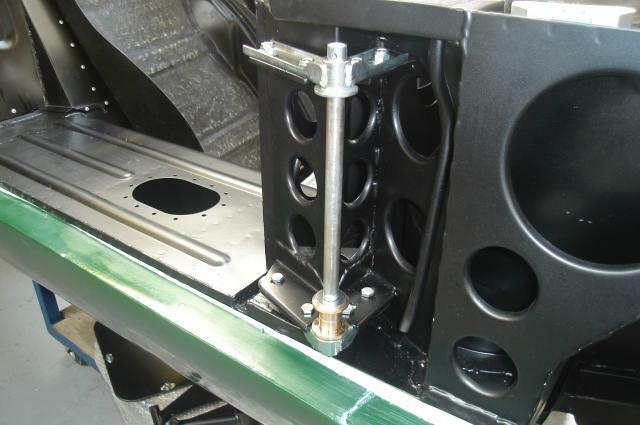 The Engine Mountings are handmade to suit each Car and are also installed at this point. 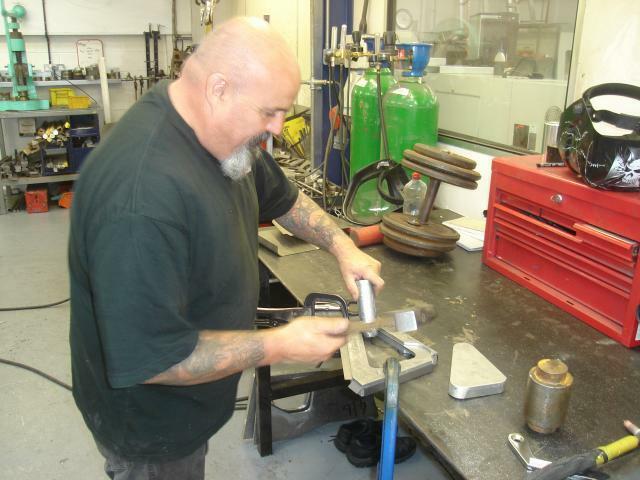 The Gear Linkage is fabricated and checked too. 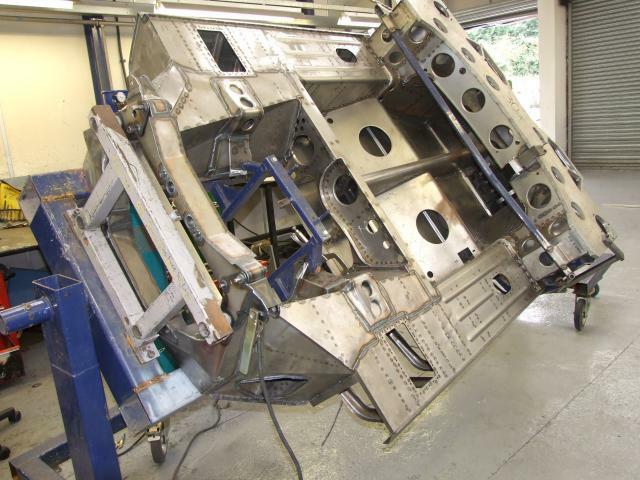 The front Nose Floor is shaped and pre fitted, along with the Nose side Panels. 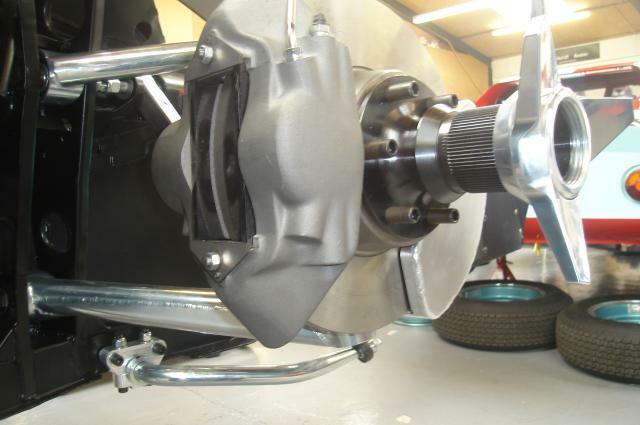 The race spec inner Brake Ducts can also be fitted at this point. 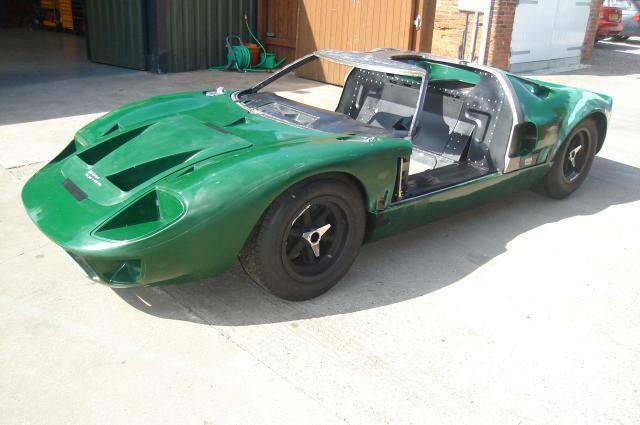 After two months of intense work useing the original drawings Chassis 3 is complete and ready to start building. 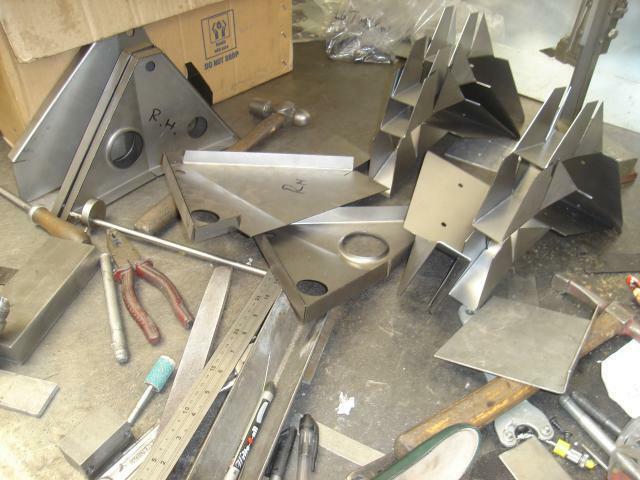 Various items will be dummy fitted to check all is well before it is sent away to be Powder Coated. 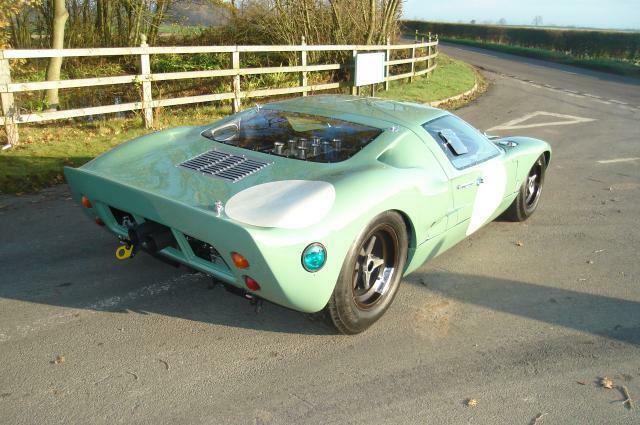 Fitted with all it’s inner Panels, note the Water Pump Panel with the correct Solid Rivits as used in period. 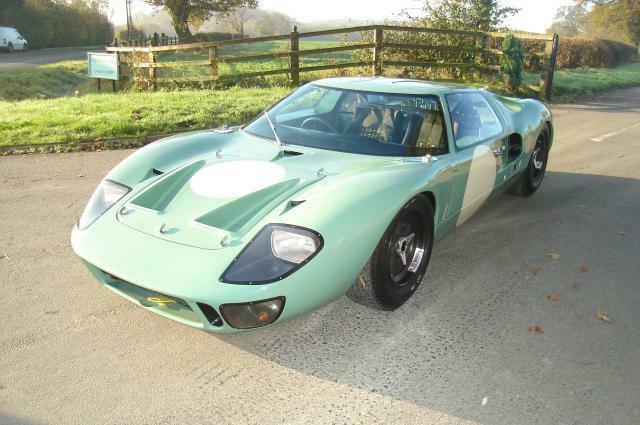 In the back ground GT40P 10XX is about to be fitted into to Jig to be restored, prior to the construction of GEL 004. Fresh back from being Powder Coated black the Chassis has all the holes and threads cleared of un-wanted paint, prior to final construction. 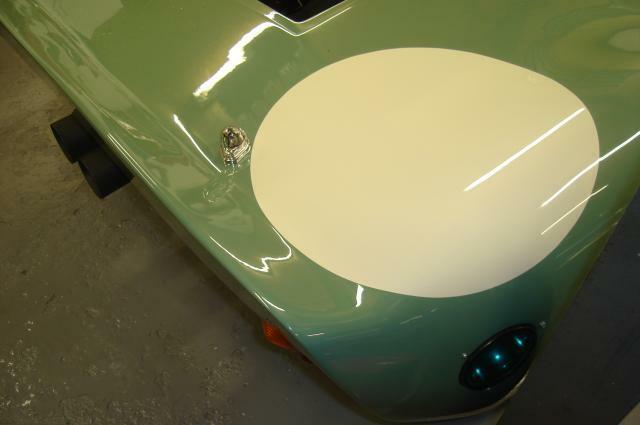 The Roof has been left un-painted as it will be primed and painted body colour, in this case Linden green. 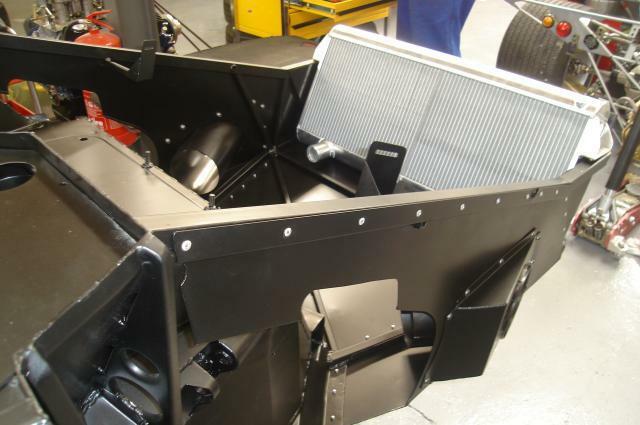 Before the Fuel Cells are fitted the inner Panels will be Wax Oiled as the new owner has indicated that the Car may well be used for Rally’s aswell as Circuit Racing. 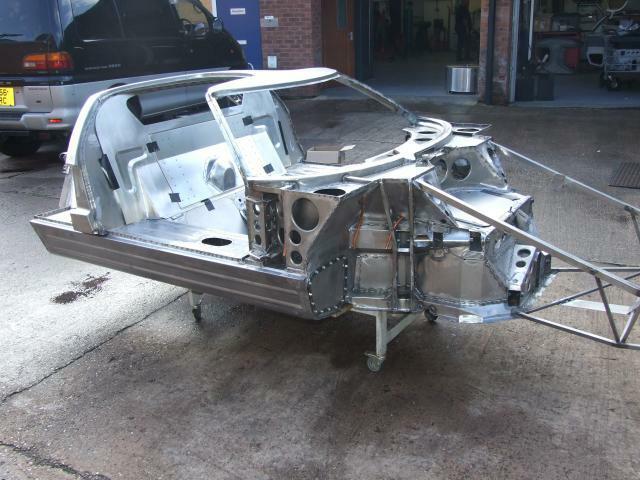 Over the next few days the Chassis will be fitted with it’s Panels prior to the Suspension being added. 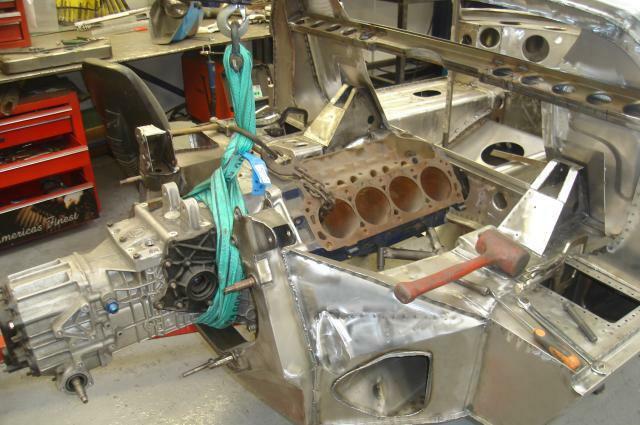 Keep logging on to view the Car, as it’s build takes place. 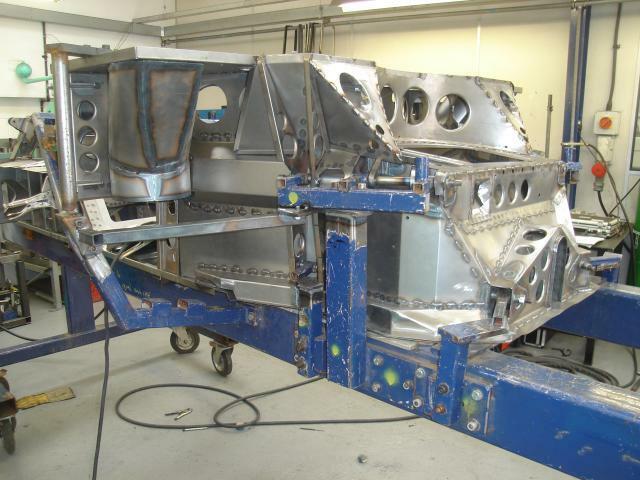 After cleaning all the Threads and Bolt holes of paint, the Nose Panels are fitted to the front of the Chassis. The inner Brake Ducting is then bolted to the side Panels ready to take the 5″ Pipe that will transfer air to the Discs and Callipers. 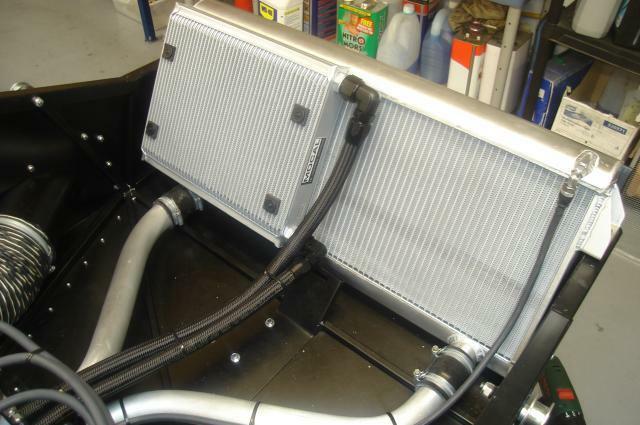 With the front Panels fitted the main front to rear Water Pipes can be installed along with the Radiator. 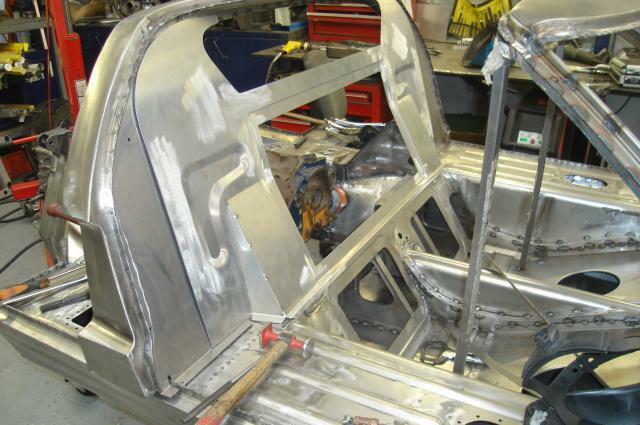 The complex rear Bulkhead Panel is rivited into place ready to take the Glass rear Window. 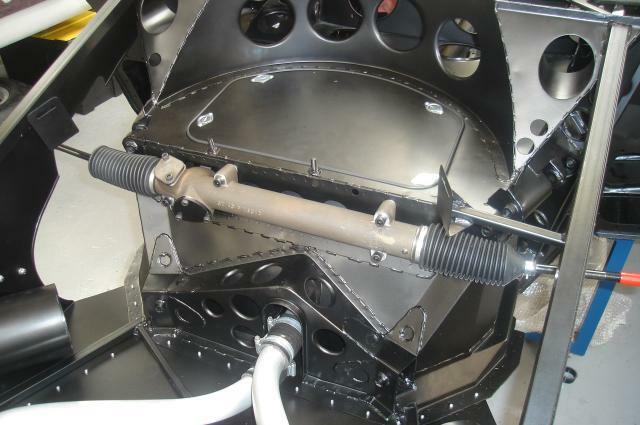 Steering Rack mounted into position ready for the Column. Hand made Water Pipes fitted to the original style Aluminium Radiator. 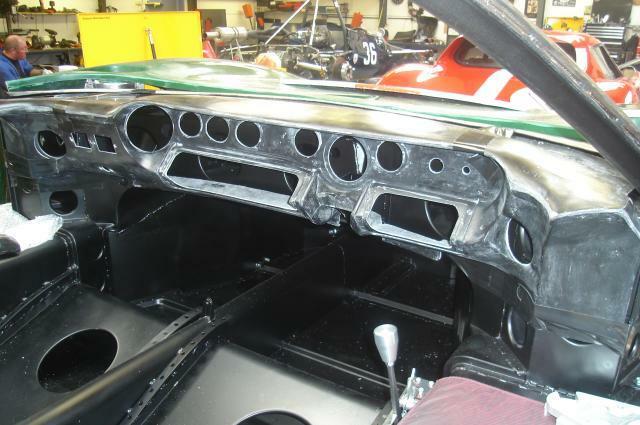 Inner Panel work all but finished. 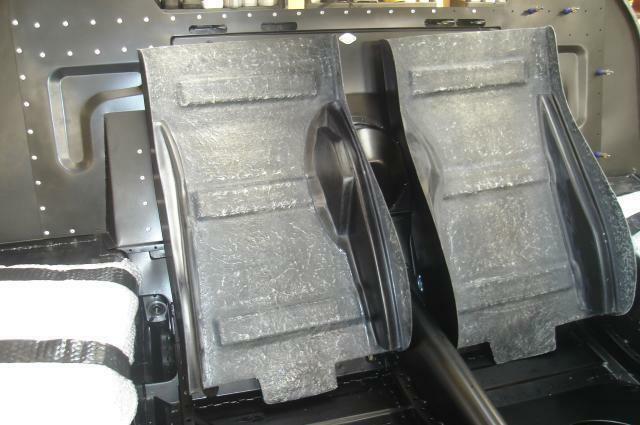 The original style Seat Backs can now be pre – fitted prior to being trimmed. 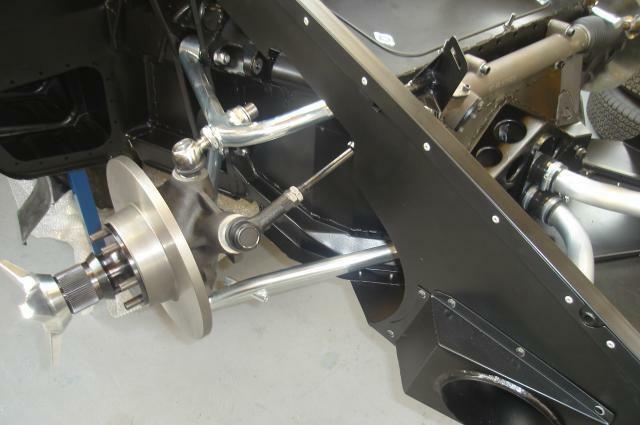 Front Suspension is fitted prior to the original Koni Dampers and Girling Callipers. 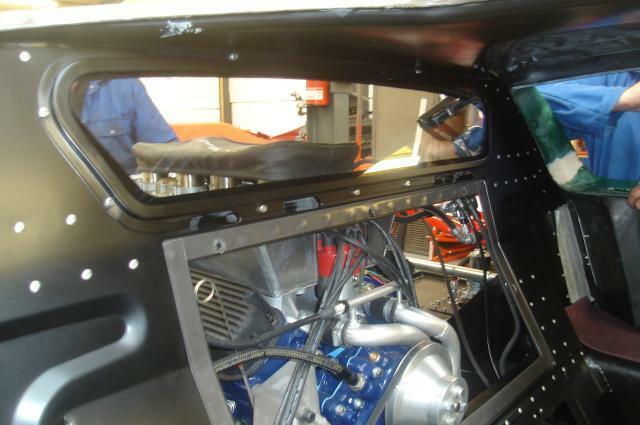 Just enough room is left to insert the FIA spec Fuel Cells, which pass through the Bulkhead behind the front Suspension. 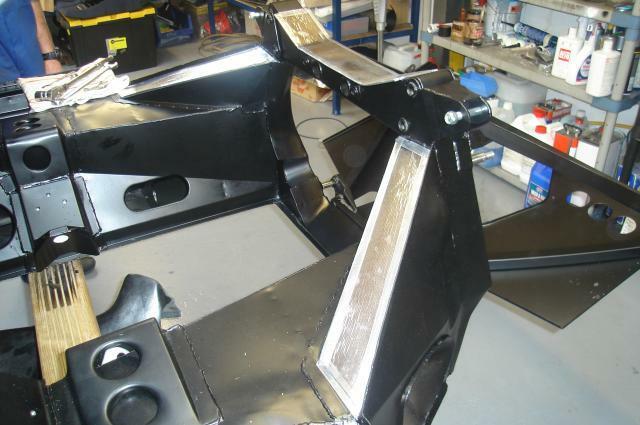 Before fitting the rear Suspension Heat Proof Material is applied to the Chassis to avoid the Exhausts from burning the new paint. 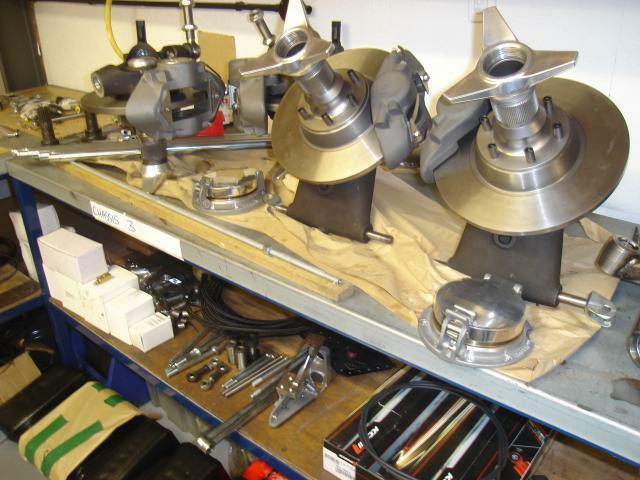 Original style Girling Callipers, single Piston each side. Used with the solid front Disc. 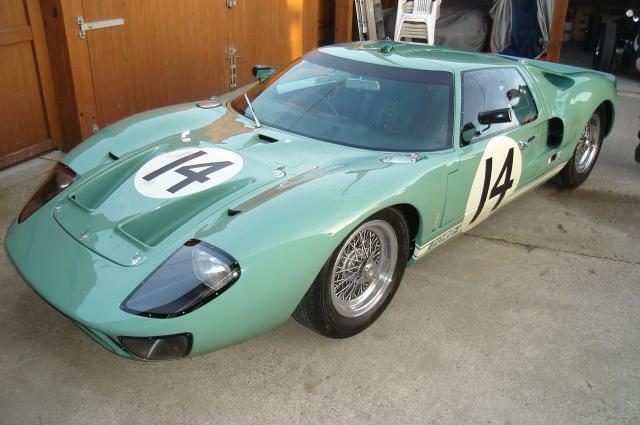 It was only later that the vented Disc and multi Piston Calliper were used. 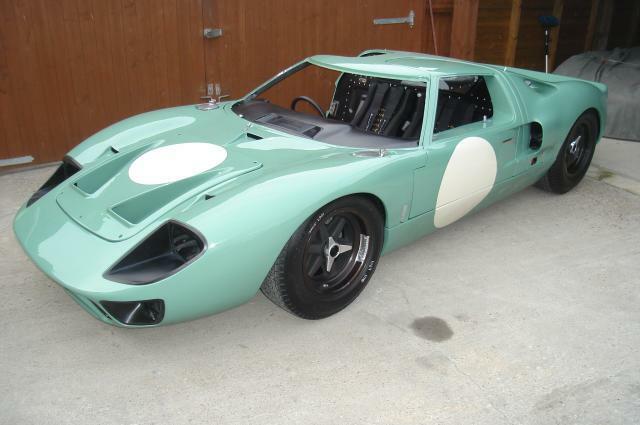 Brake Ducts made from the original Drawings cool the Disc which is prone to over heating if used to hard for to long. 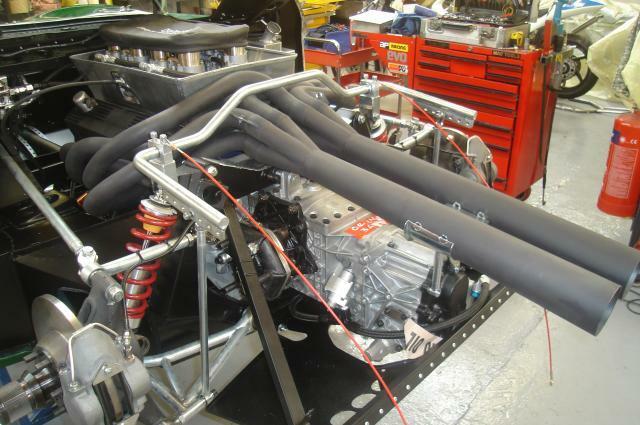 Flexy Pipe connects the Upright Duct to the inner Nose Panel vent. Note the front Hub which will take a Splined early Wheel or the BRM style later Wheel. 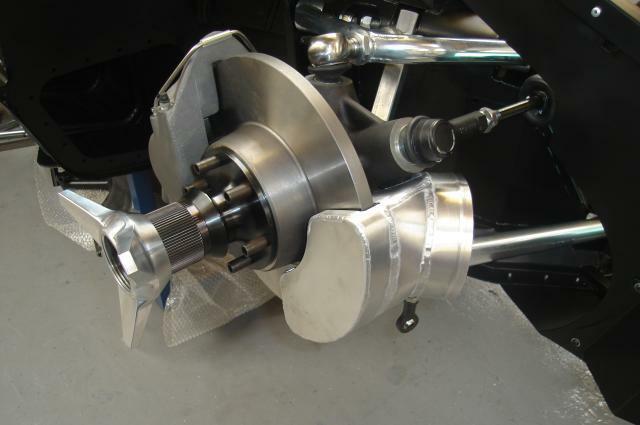 The Pegs bolted into the Hub locate into the Magnesium Wheel and transfer the braking loads, a job which is carried out on the early Hubs by the Splines. 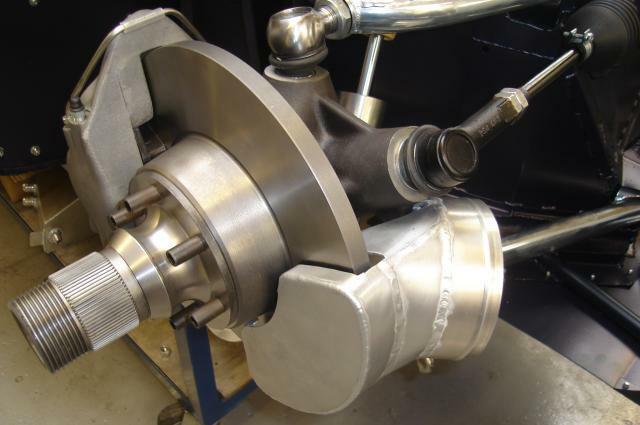 The later 10″ Wheel front Hubs do not carry the Splines and only locate on the Pegs. 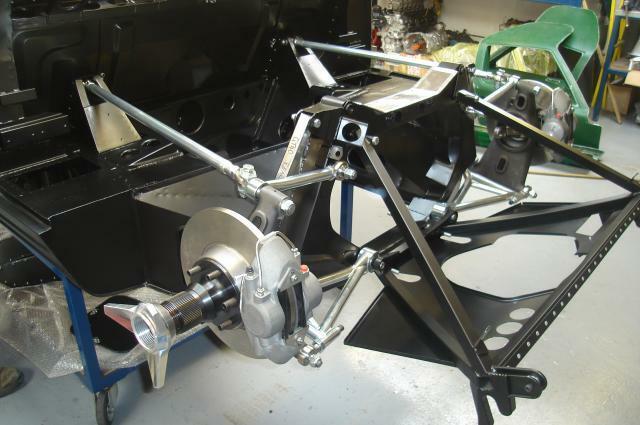 Rear Suspension is fitted into place. 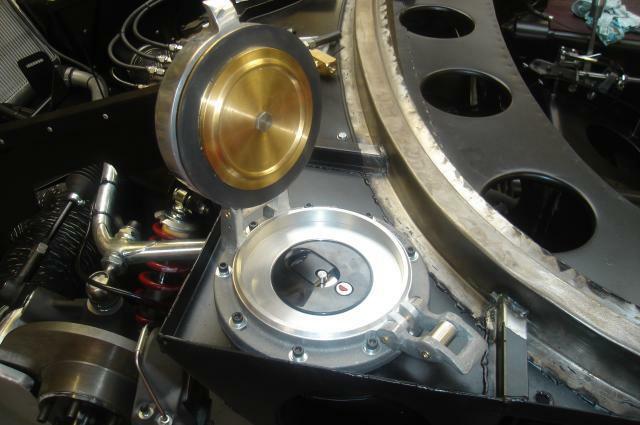 This allows the Wheels to be fitted and Body clearence checked. 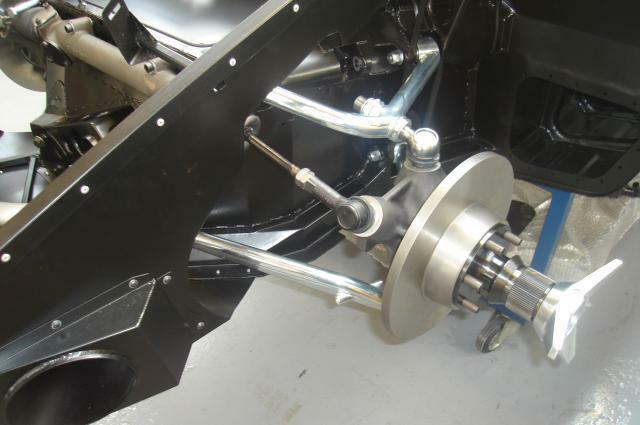 Front Anti Roll Bar is fitted into the Chassis and connected to the bottom front Wishbone. 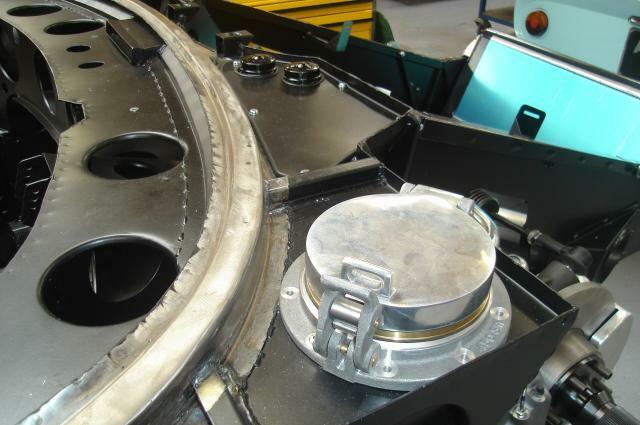 Fuel Filler Caps are put into place to check clearence around the whole in which it will open. Rear Clip is hung in place ready to be trimmed up to suit Sills and Roof. 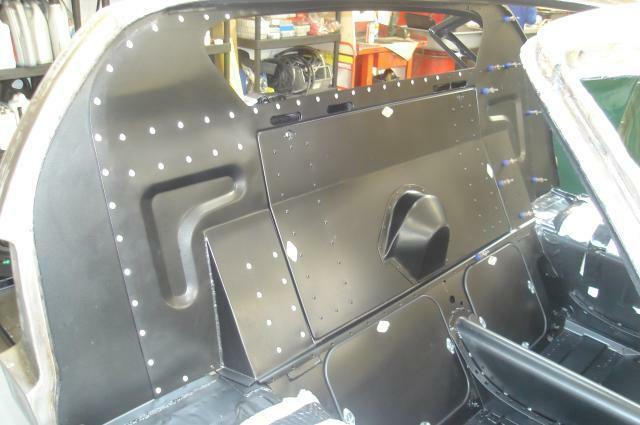 Dashboard is trimmed to suit the Chassis and then the holes are cut to take the various Gauges and Fuse Boxes. On the floor for the first time, ready to be transported to our Bodyshop to have the body fitted and gapped prior to painting. 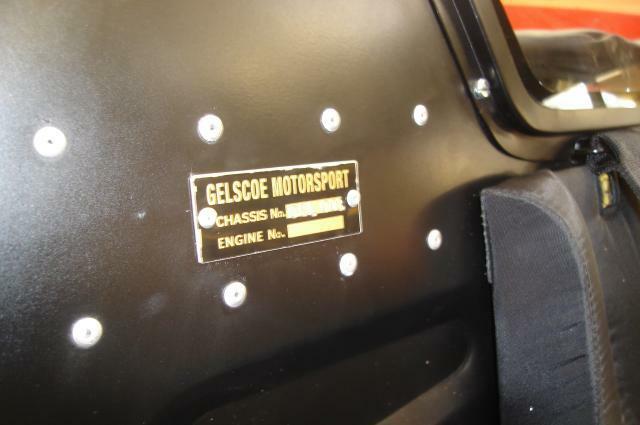 Fitted with Gelscoe’s own Magnesium Wheels to check Wheel Arch clearence front and rear. 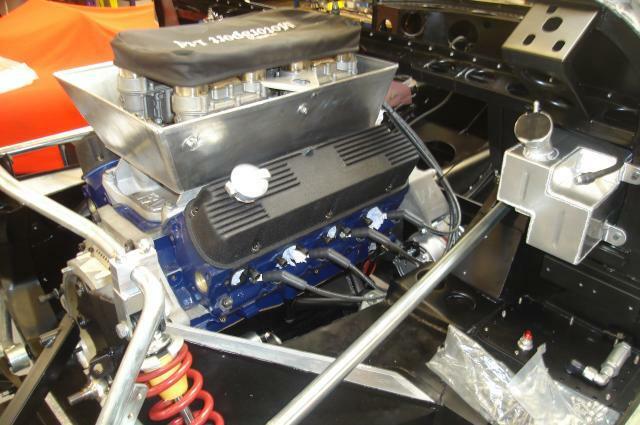 Back from Body fitting, the Engine is fitted into the Chassis. 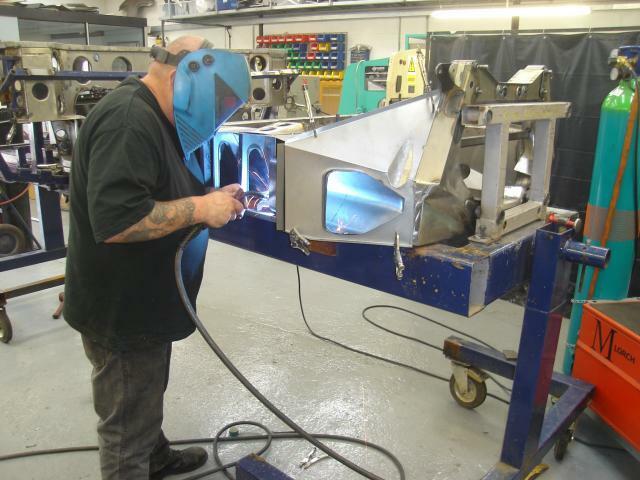 Water Header Tank is fitted into place, ready to plumb the Water Pipes….. along with the rear Tank top Plates which will allow the Fuel system to take shape. 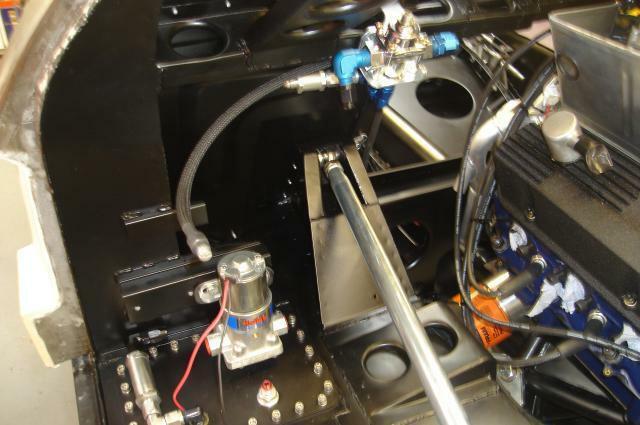 fuel Pumps, Filters and flow Regulator are installed, the FIA Fire System is also placed into the Chassis at this point. 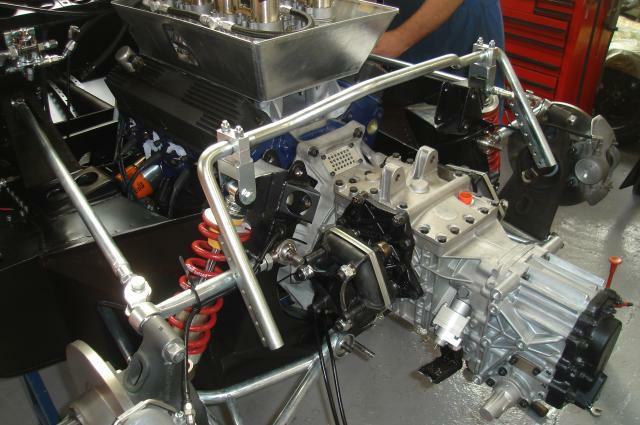 Gearbox is mounted to the Engine, ready to start fabrication of the Gear Linkage. 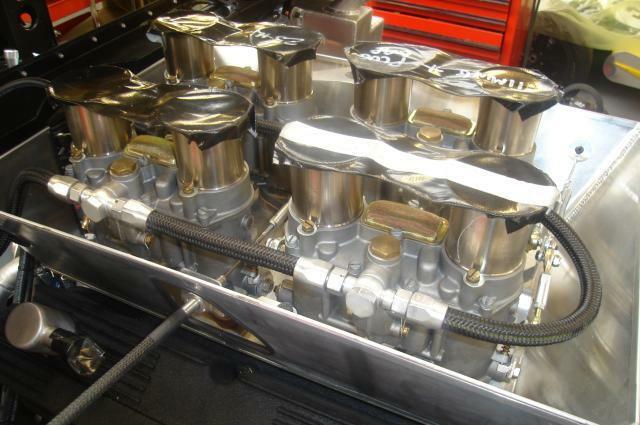 The original style Gearbox Oil Pump can now be plumbed to the Cooler, which mounts into the rear Tray. 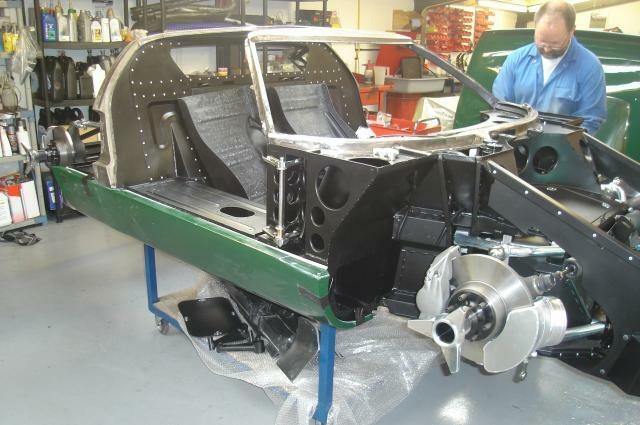 Triple plate Clutch is fitted, as this Car will be used in the Master Series next year. 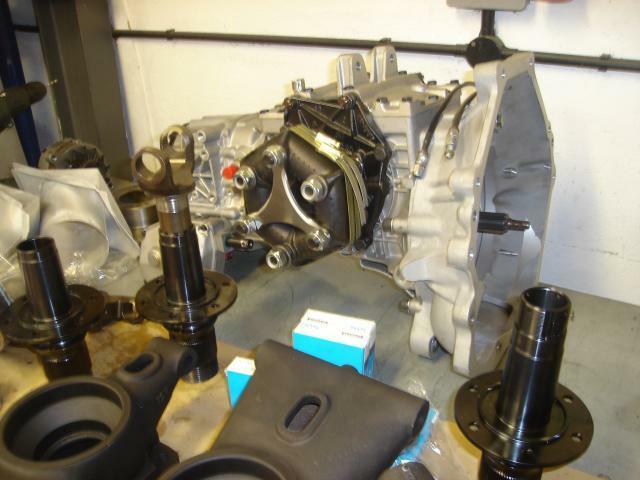 Internal Gearbox conponents are as original including the Oil Shoot which transfers extra Oil to the CWP. 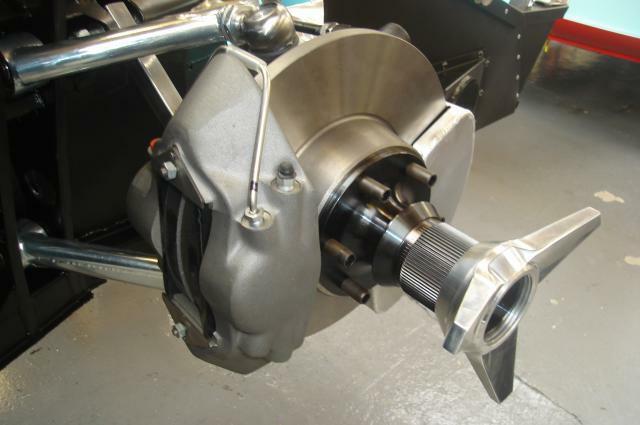 Gearbox Oil is cooled via the rear Oil Cooler, Oil is pushed around the system from the original Oil Pump mounted in the Speedo Drive hole on the side of the Box. It’s also Filtered before being returned onto the CWP. 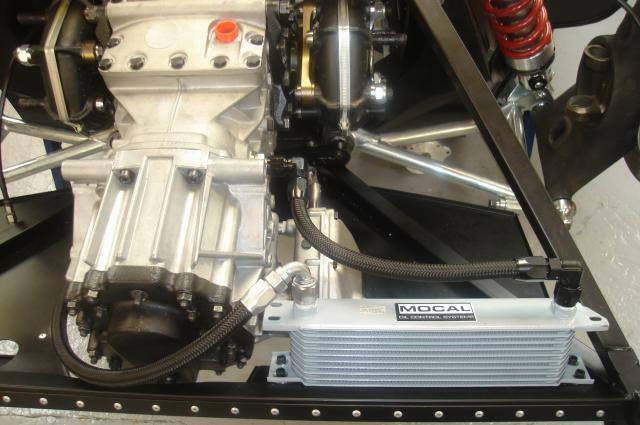 The front mounted Oil Cooler is plumbed in period style line to add to the originality. Water system is now complete. Pedal box unit is installed and plumbed, the Brakes and Clutch can now be bled. 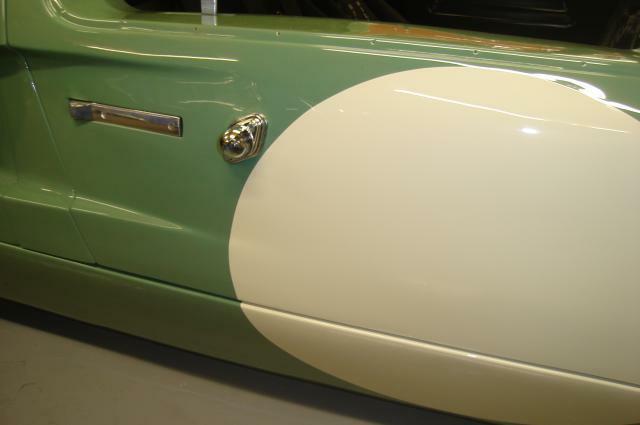 Original Monza Fuel Caps are used, but fitted with an internal sealing Cap to meet the FIA’s requirements. 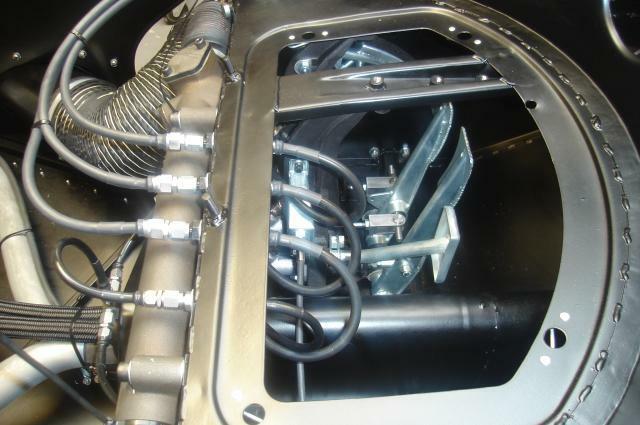 The Fuel system is now complete and once the Wiring has been installed it should be ready to start. 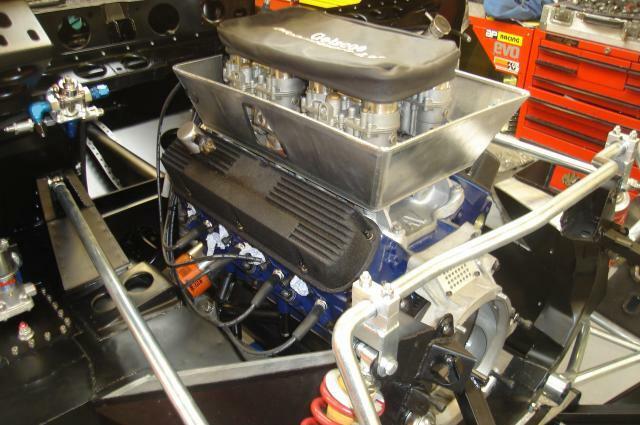 The all but complete Engine Bay, awaits the sand bent Exhaust system. 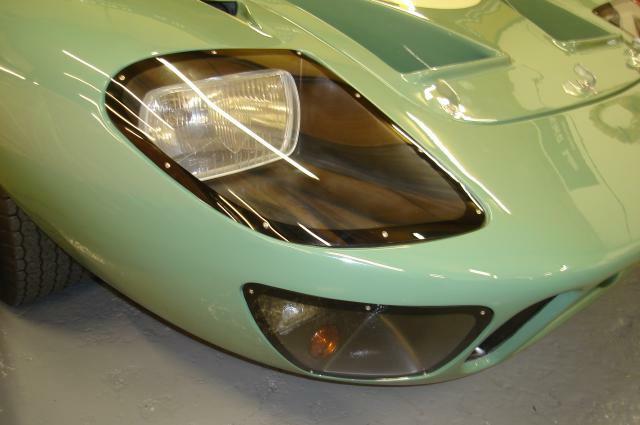 The front end is fitted with the FIA saftey fire system, Brake Ducting and front Brake Lines. 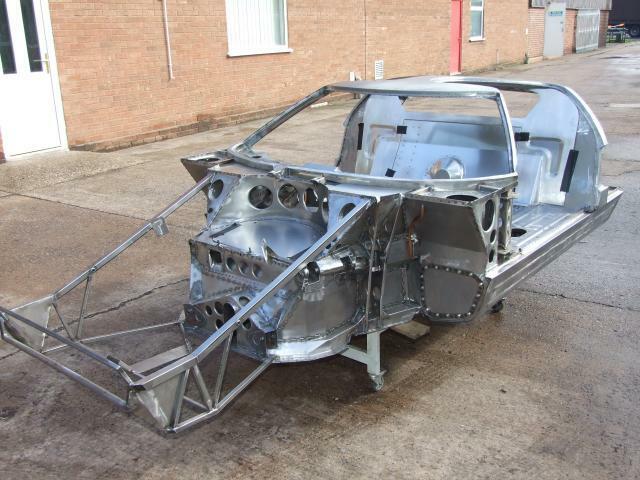 Within the next week Chassis 3 will be sent off for painting. 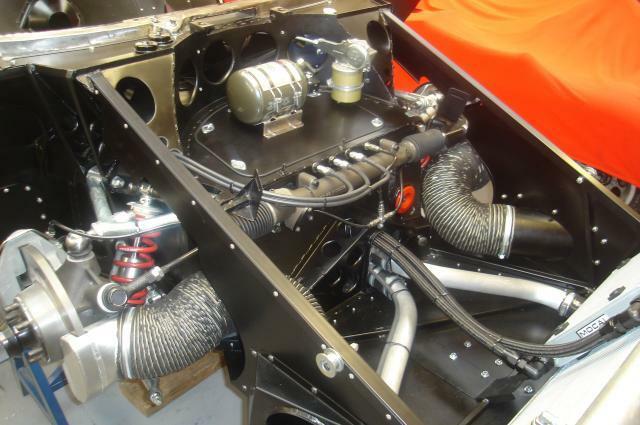 The race spec Exhausts are fitted into place and the Bracket fabricated to lock in the Tail Pipes. 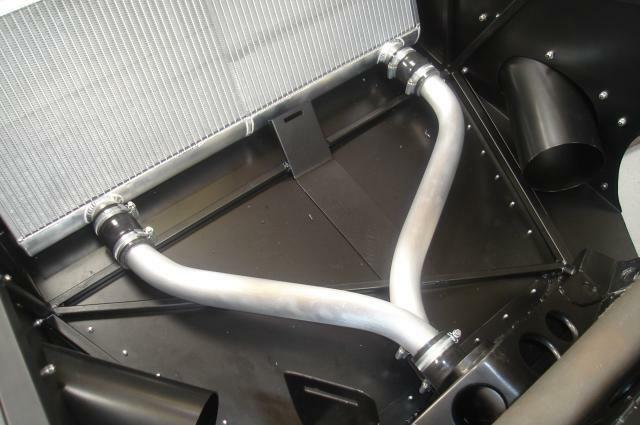 Rather than fabricate the Exhaust system in a modern fashion useing stainless steel, they are made from mild steel and sand bent by hand as original. 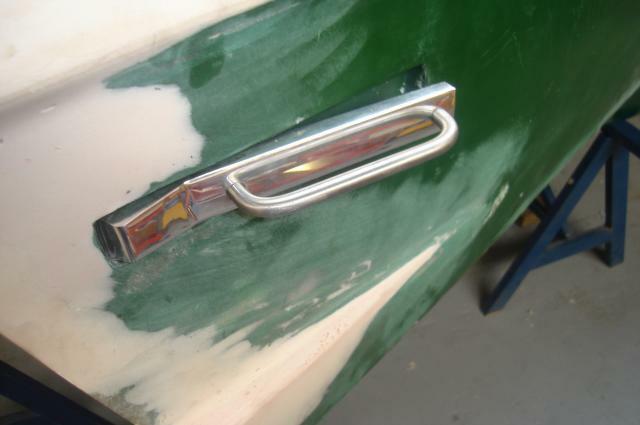 The Door Handles are uprated to Le Mans spec with the Grab Rail fitted to the standard Handle. A Glass internal Window, fitted useing the original style retaining Frame. Le Mans marker Light as used in period, various colours were used by the various teams and ranged from blue, red and Green. After only 8 months since the first Panel was laid in the Jig , GEL 003 started and ran for the first time. 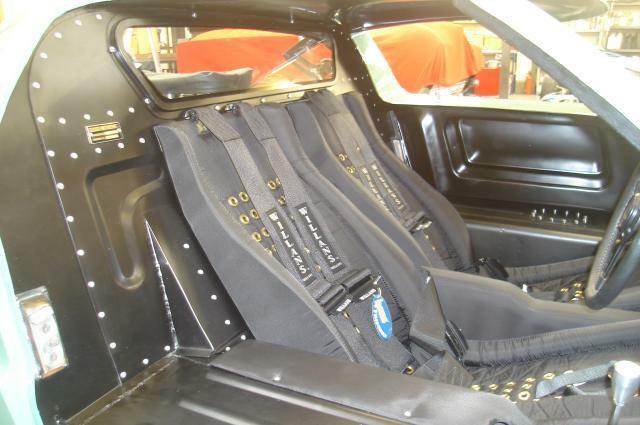 Seats and Belts fitted the interior begins to look like an original GT40. 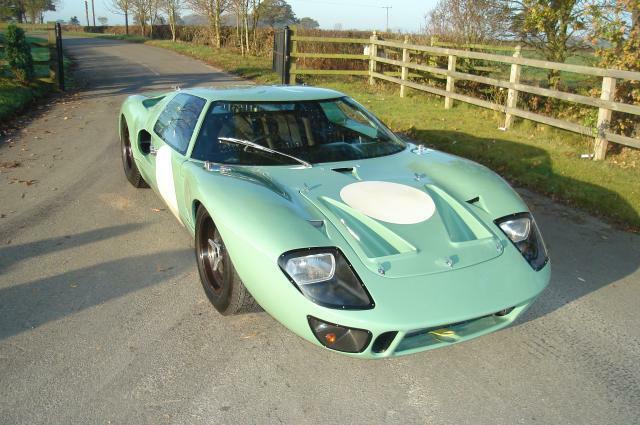 Finished in Linden green, stunning is the only word for the latest example of Gelscoe Motorsport’s range of GT40s. 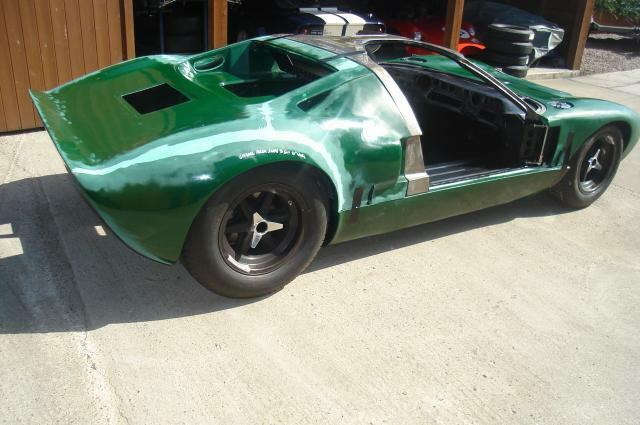 The exterior will be finished in the next few days and if the weather holds out we hope to run the Car in at Mallory Park later next week. 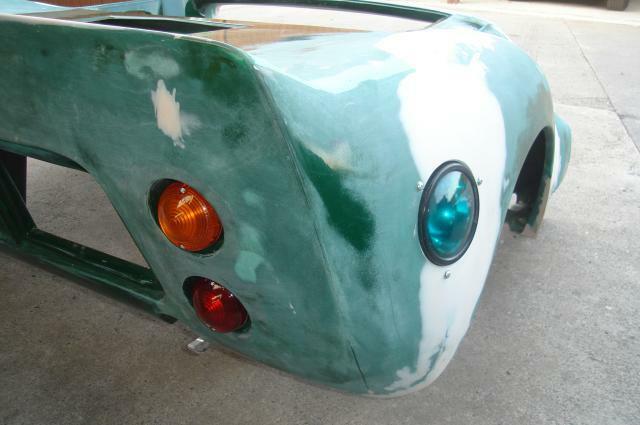 Marker lights fitted as in period, light up the numbers for use at night. Head Light and Spot Light Covers fitted, note the original Head Light unit. Original quick release winged fasteners as used at Le Mans. Finished and ready to test. 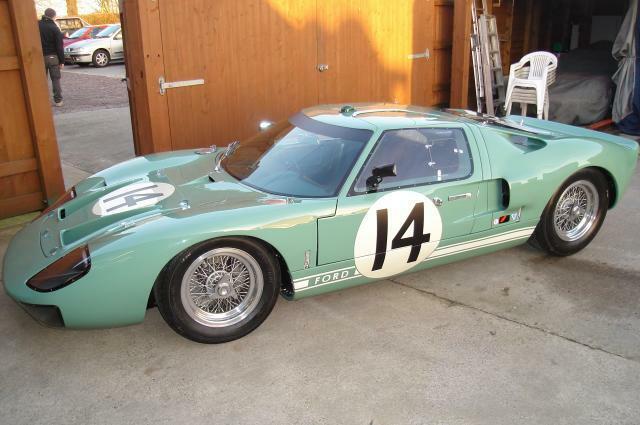 Note the green Le mans marker light fitted to the roof, used for identification during the night stints. 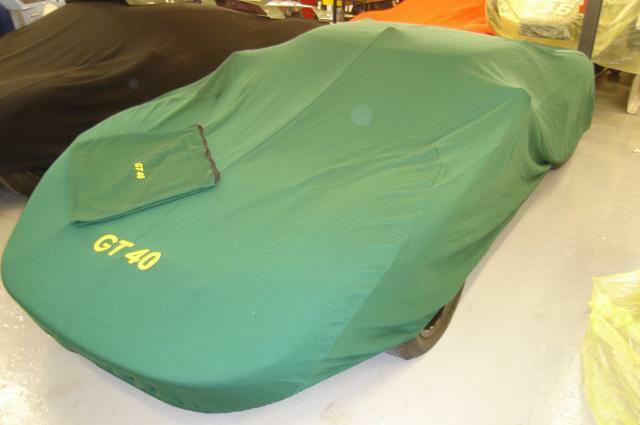 Stored for the winter in a Gelscoe car cover. 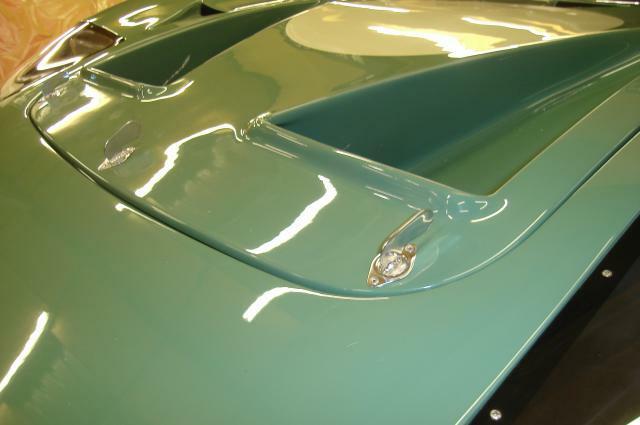 Check out our parts department for more info on GT40 car covers.